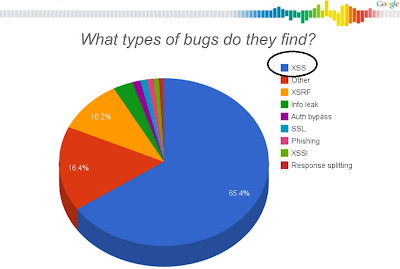 In the last months I found several XSS vulnerabilities in Google's Gmail. All bugs are now fixed in a very short time. Currently Gmail has around 350 Mio. 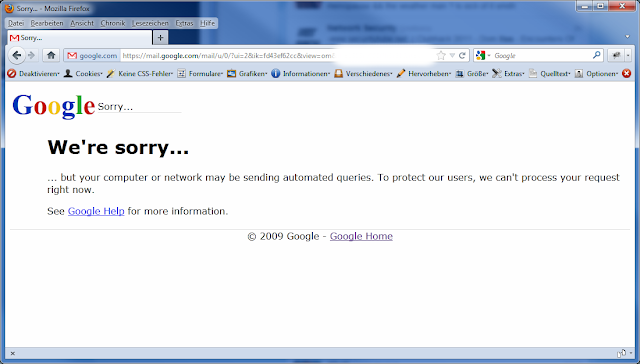 users and it's clear that Google taking a lot of efforts to protect their users. 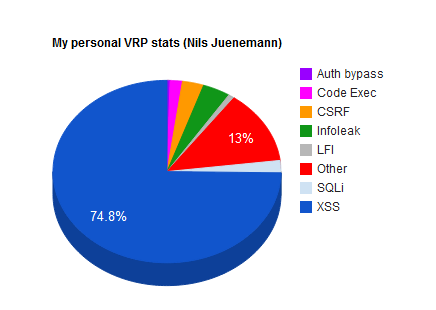 Google shared some stats about the VRP last year and told that around 65% of all reported bugs are XSS. So the numbers are nearly the same and I think every other company who develop web application has the same bug distribution and a much higher amount of bugs. Google has made a great job and compared with the amount of new features and new products, the relative frequency of security bugs is quite low. 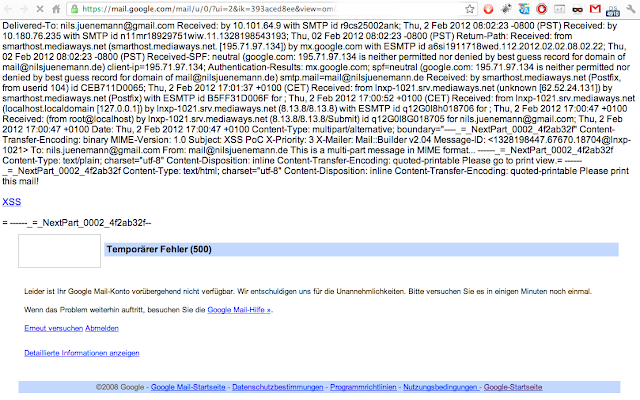 Today I want to share 3 different XSS vulnerabilties in Google Gmail. 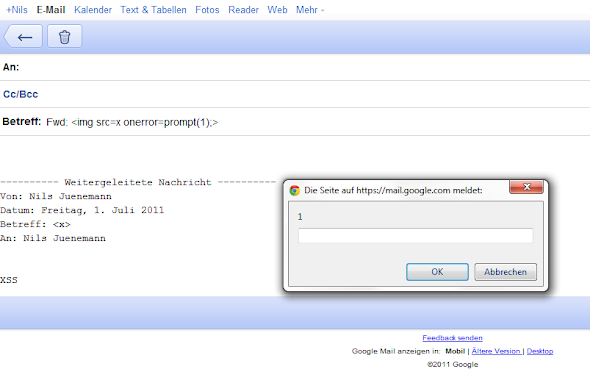 Persistent DOM XSS (innerHTML) in Gmail's mobile view. A incoming mail containing ><img src=x onerror=prompt(1)> within the subject and forwarded to another user, has lead to XSS. That's all. Just a simple reflective XSS in the search feature for labels. The response of both requests was text/plain. With a special crafted URL it was possible to force a HTTP/1.1 500 Internal Server Error with some content lines of the message. The Content-Type was then: text/html. But we still have a problem - an attacker doesn't know the ik and the message id. Without both values it's not possible to generate the special URL. We're sorry ... but your computer or network may be sending automated queries. To protect our users, we can't process your request right now. If you want to read more about Google's VRP I recommend you the talk of Nir Goldshlager "Killing a bug bounty program" or you can just read some of my older posts here, here, here and here. Any questions? Use the comments below the post. PS: Enable 2-step-verification for your Google account today to make your Gmail more secure. Operations Guy, Photographer, interested in Web application security from Berlin. Currently traveling through the world.